This would be a strong result except for the fact that the comp was easy internationally for Apple as the iPhone 5 launches occurred far earlier this year in most countries than last year’s 4S launch. March will be a tougher comp internationally. 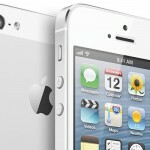 AllThingsD suggests two ways in which Apple could improve international iPhone sales. These include releasing a handset earlier in the year, and signing up “a big new iPhone carrier abroad.” That carrier could be China Mobile, which is reportedly in talks with Apple regarding a potential iPhone deal. Another way that Apple could improve iPhone sales abroad, of course, could be to launch a less expensive handset as has long been rumored. Earlier this month, Apple reported record revenues during the holiday quarter. 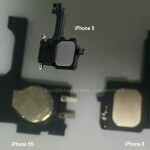 However, analysts have grown increasingly concerned about Apple's long-term prospects.